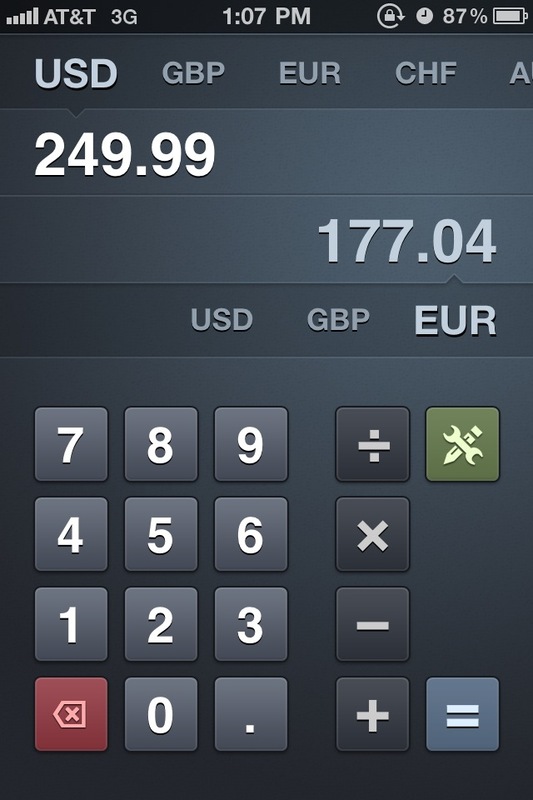 Banca ($1.99) by code·aplus is a beautiful currency converter for your iPhone. With the constant flux in currency rates, it's becoming more important to know just how much your dollar is worth (or Euro, Yen, GBP, whatever you use) in other countries. 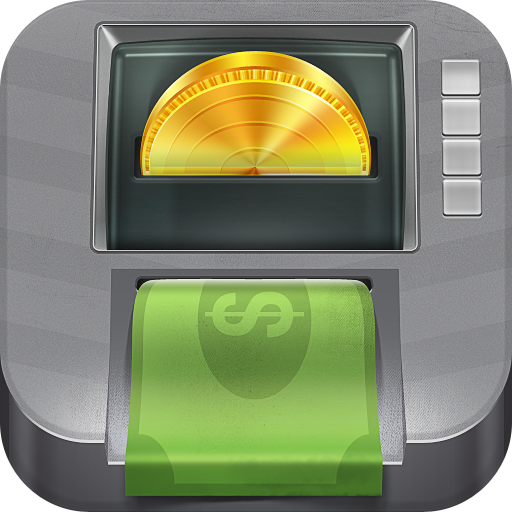 Banca allows you to do this effortlessly in a beautiful interface, complete with some bonus features. 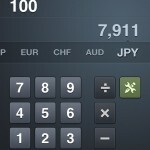 On launch, you'll be presented with an elegant calculator-like screen. Along the top will be a ribbon for selecting the currency you want to convert, and another ribbon below for selecting what to convert to. In-between these two ribbons will be where your currency amount goes. 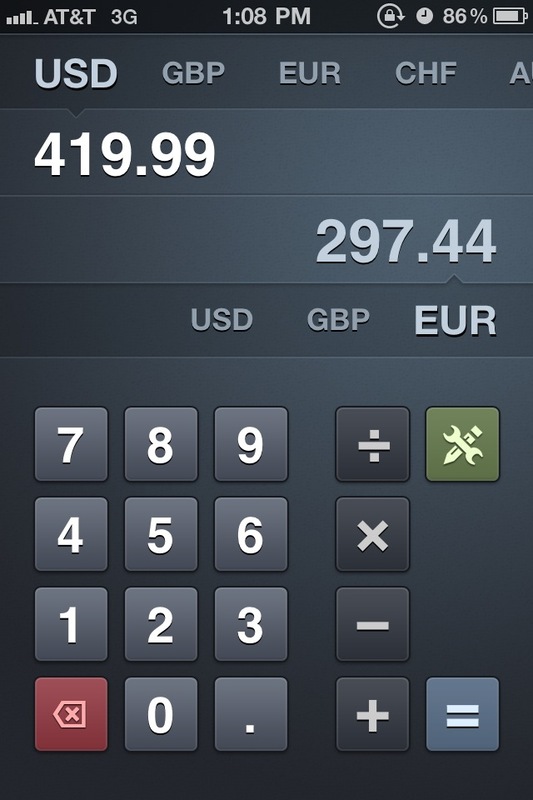 Underneath it all is the keypad for you to enter in amounts as well as making simple calculations. Converting your currencies is easy though. Simply tap in the number at the top and the converted amount will appear below it, on the opposite side so you don't get confused. It's tasteful and painless. If you need to do some basic calculations of addition, subtraction, multiplication, and division, Banca lets you do that. 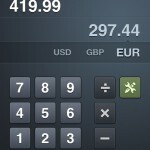 Changes in the amount are reflected once you hit the "=" button. I know that the keypad is supposed to work like a basic calculator, but there should be a way to quickly delete the numbers you currently have. 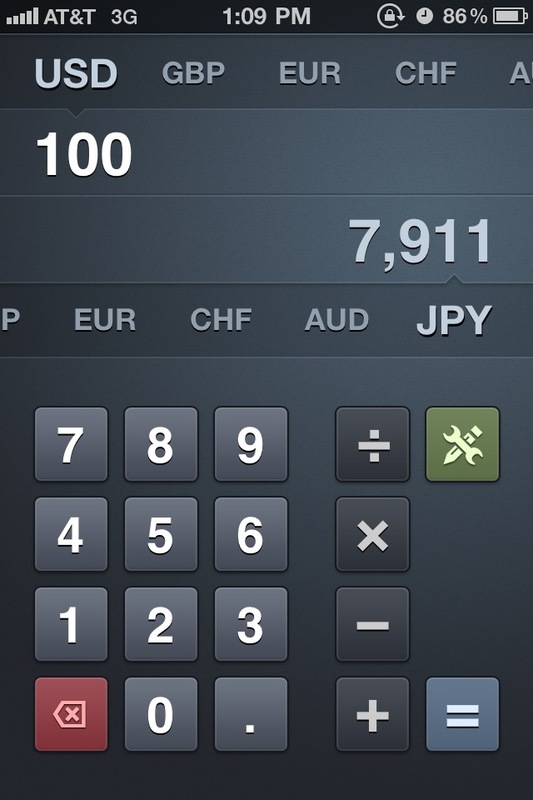 At the moment, the only way I can do this is by deleting each digit individually. 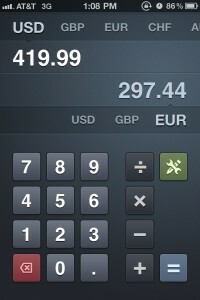 What would be nice is to have a "Clear" button like a standard calculator. Just a thought. The shiny green button on the key will take you to the app settings. 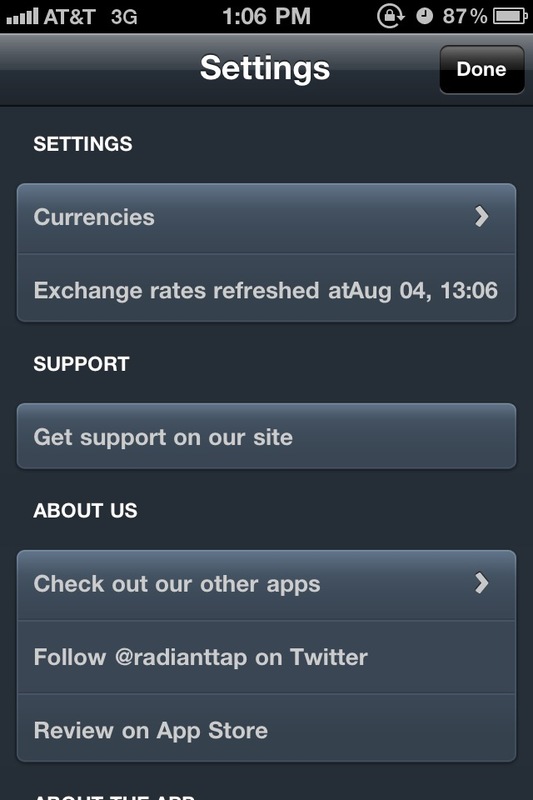 From here, you will be able to refresh the exchange rates, which is probably something you should do constantly (thanks to the poor economy of the US!). 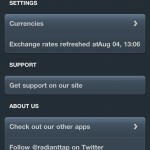 In addition, you can edit the currencies being used on the main screen by deleting or adding new ones. 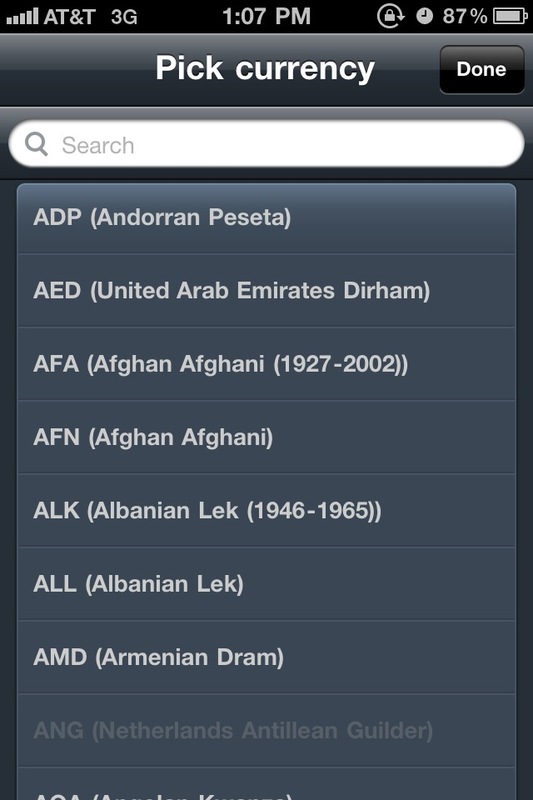 The database for currencies is pretty large and even includes older currencies, if you're just curious. I found Banca to be a very useful tool for currency conversion. While there are plenty of apps out there for this task, I love the simplicity and functionality of Banca. The ability to customize the currencies you see is also a great bonus. Let's just get a "C" button in there, and it will be perfect. If you're a constant traveler, or just want to know how much your dollar converts to, then check out Banca. It's currently on sale for $1.99 until August 8.